TOKYO/SINGAPORE (Reuters) - The phenomenal success of Pokemon GO and the surge in Nintendo Co's <7974.T> market value by $17 billion in just over a week has been seized upon by one of its most vocal investors to press for a change of strategy at the company. 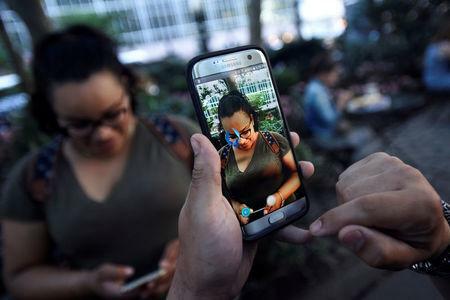 Until Pokemon GO, a mobile game, was launched just over a week ago, Nintendo had taken every opportunity to say its main focus was still gaming consoles, and games for smartphones were just a means to lure more people to them. 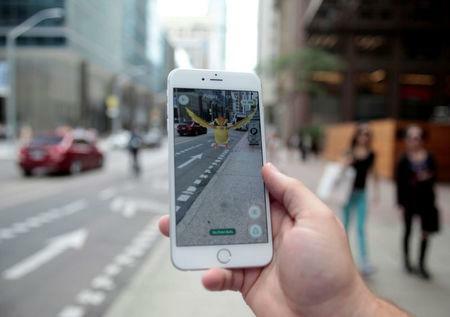 But the success of Pokemon GO - unforseen even by its creators - has shown the potential for augmented reality and for Nintendo to capitalize on a line-up of popular characters ranging from Zelda to Super Mario. Seth Fischer, founder and chief investment officer at Oasis Management, is one of Asia's best known hedge fund managers and has long been a small but loud shareholder. Encouraged by the success of mobile games like "Candy Crush", he has campaigned for years for the Japanese console maker to develop and sell games for platforms run by Apple <AAPL.O> and Google <GOOGL.O>. "I hope they will now understand the power of smartphones," Fischer told Reuters. "And as a result, I hope this means there is a whole change in strategy." "My next focus with Nintendo is for them to focus on monetizing the rest of their 4,000 patents for mobile gaming, multi-player gaming, et cetera. I think they could be making 30 to 60 billion yen ($290 million to $570 million) annually from licensing." Fischer has described Oasis as an advisor to entities that own Nintendo shares and a shareholder. The fund's direct holding is not listed among the company's largest investors. Nintendo President Satoru Iwata last year cautioned against hoping for too much change at the company. The expansion into smartphone games was "not because we have lost our enthusiasm or prospects for the console business", he said at the time. A Nintendo spokesman, asked about its mobile strategy, said last week there were three main objectives: "To maximize exposure of Nintendo's intellectual properties to consumers, to make profits on mobile devices, and to create synergies with the console business." He did not comment further on Pokemon GO. Serkan Toto, founder of Tokyo-based game industry consultancy Kantan Games, said Nintendo still saw itself as a console maker. "When you sell $400 dedicated devices and you sell the gamer boxed software for $60 a piece - for them this is the gold standard," he said. "For them, mobile is the junk food: enjoy while you wait for the bus. It's not something that Nintendo sees for itself." Pokemon GO, however, has been a runaway success, marrying a classic 20-year old franchise with augmented reality. Players walk around their neighborhoods in real life, search out and capture Pokemon cartoon characters on their smartphones. The game was created by Nintendo, Google-spinoff Niantic, and Pokemon Company. Nintendo owns a third of Pokemon Company and both have undisclosed stakes in Niantic. Nintendo has not commented on next steps, which many speculate could now involve other favorite characters. The hardware-focused group had planned to introduce a device called Pokemon GO Plus, which could allow it to piggyback on the success of the mobile game. 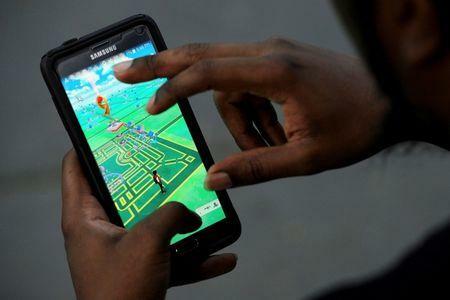 The device vibrates when a Pokemon character is nearby, enabling players to catch them without constant monitoring. Pokemon GO is on track to be the first mobile game to break the $4 billion-per-year wall, beating out Candy Crush Saga and Supercell's Clash of Clans, according to Macquarie Research. But the impact to Nintendo's bottom line could be minimal because of shared ownership, as little as 3 percent of net profit in the year to next March. Niantic declined to comment on the future of its relationship with Nintendo, although it credited Pokemon's unique appeal for the game's success. "It's been wonderful to be able to combine our philosophy for these kinds of games with the powerful affinity that people have for Pokemon," Niantic CEO John Hanke told Reuters. But analysts say the craze signals the vast money-making opportunities available for Kyoto-based Nintendo - when it eventually brings out more serious hits. "Over the last decade they never compromised on the software side. That's why they'll blow everybody out of the water once they start take iOS and Android more seriously than they do now," Toto said. "The successes of Pokemon Go will open the eyes of executives in Kyoto. This is unprecedented." There are no signs, however, that will happen soon. Of the four mobile games that Nintendo has promised to launch this financial year through March, two are set to be Animal Crossing and Fire Emblem - no sign of Mario nor Donkey Kong, at least not yet.